Hi. I’m Julie Spira. 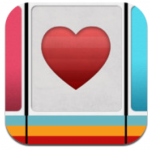 Every year my team and I curate a list of some of the best and newest mobile dating apps. It’s time to grab your SmartPhones as we’re proud to announce the 4th annual Cyber Dating Expert “Top 10 Mobile Dating Apps” list. 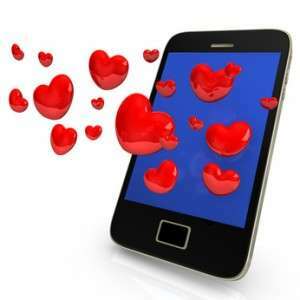 As online dating continues to be embraced by singles of all ages, mobile dating apps have taken the spotlight in 2013. A recent Pew report on Online Dating & Relationships looked at the impact of social networking and mobile dating on singles looking for love. Mobile dating has truly become a social dating experience, with many apps considered social dating, social networking and social discovery experiences. Without further digital ado, we?re proud to present the “Cyber Dating Expert Top 10 Mobile Dating Apps of 2013” for your viewing and downloading pleasure. This year we’ve added three new mobile dating apps, which were featured in our Mobile Dating BootCamp. As Tinder celebrates its 1-year Anniversary, we?re happy to list their mobile app as our top choice for 2013. Tinder is now the fastest growing location-based mobile dating app and is becoming a household name. While early adopters were found on college campuses, now everyone from Lindsey Lohan to the former Miss USA, along with your neighbors as well can be found flirting on the Tinder app. During this year’s Mobile Dating BootCamp, just about every participant requested to use Tinder while looking for love online. 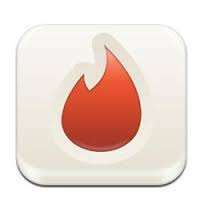 Tinder reports that 54 percent of their members are between 18-24 and 31.6 percent are between 25-34. How it works. 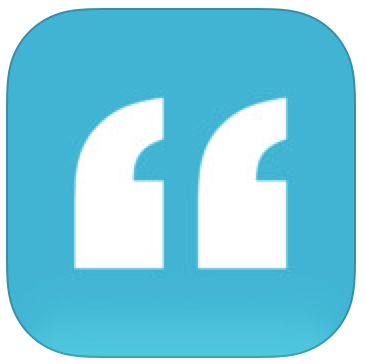 Users download the mobile app on their iPhone or Android phones and connect through Facebook to create a profile. You can anonymously scroll through potential matches nearby. If there’s a mutual match, then you can start chatting in text message style directly through their app. Let’s Date call itself the ‘instagam’ of dating. Users sign and create their date card through Facebook connect. Once your profile is created, you’ll have the ability to edit your profile if you don?t want it to mirror your Facebook profile. Let’s Date reports that 55 percent of their users are between 18 to 24 years old and 40 percent are between 24 and 35 years old. How it works: Let’s date uses science to help match you with someone compatible on their mobile dating app. Users can click on “Yes” or “No, Thanks” to profiles they’ve been matched with. If there’s a mutual match, users can be notified by email to let you know that it’s time to start chatting with your digital crush. You can also speed up the process by sending a flirt to the person you’ve selected for $.99 in the iTunes store.They also have a ‘wingman’ feature, which allows non-daters to view profile and share them with their single friends through email, SMS, or Twitter. 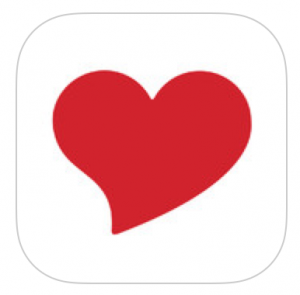 For the fourth year in a row, Zoosk has made it to our “Top 10 Favorite Mobile Dating Apps.” Zoosk is a top mobile dating app for iPhone users and a top 10 overall grossing app in the iTunes store. More members, 55 percent are using the Android app as compared to 45 percent on iOS. How it works: Users sign up for free, but if you pay for a subscription to Zoosk you’ll get unlimited winks and messages, full access to the ZSMS feature, can see who has viewed your profile, and you can chat with the connections you make. The cost of subscriptions are: 1 month for $29.95, 3 months for $19.98 per month, or 6 months for $12.49 per month. 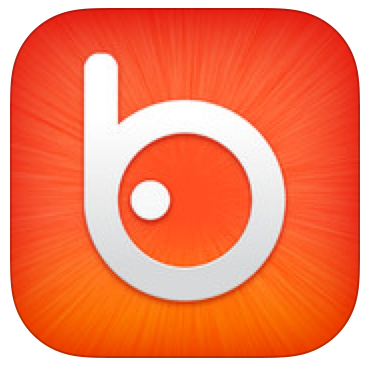 Badoo is a free dating app and was launched in 2006. They have over 197 million members worldwide in 180 countries with over 41 languages available. Over 100,000 new mobile app users added every day. It’s a fun way to meet new friends and dates in a game-like environment. How it works: Users can sign in through Facebook and use the service on the web, as well as on their mobile dating apps. Users can find singles with similar interests nearby to chat with and their “Encounters” game helps connect you with possible matches. Their premium paid service includes a “Spotlight” and “Rise Up” feature to be able to be seen by more members. With “Spotlight,” the member’s photo and brief profile info appear at the top of every main Badoo page within their area or region. “Rise Up” instantly puts the member?s profile at the top of the search results within their region. The “Super Powers” feature is a monthly service fee which gives users more control. Why we like it: The added bonus of uploading videos. PlentyOfFish has made it to our “Top 10 Favorite Mobile Dating Apps” list for the third year in a row. POF is one of the largest free dating sites in the world with over 2 million Americans logging on to the site each day. POF reports that 80 percent of people who access POF from a mobile device do so from their mobile Apps. 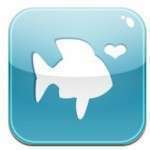 According to comScore, PlentyOfFish has captured 67 percent of the market share among mobile dating apps in the U.S. 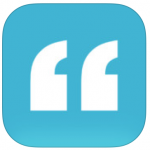 The app is completely free and is available in five languages, including English, French, German, Spanish, and Portuguese. How it works: Users sign up for free and can search for singles from their mobile app using new filters such as education, height, and body type. Their Android app has a “Places” feature to provides users with a list of potential date hot spots. PlentyOfFish has also created a premium feature called “View Interaction” which tells singles if they’ve already interacted with a user; messaged back and forth, added each other to their Favorites list and viewed each others’ profiles. This ensures you’re not wasting time messaging someone you’ve already reached out to Users can also search for singles from their mobile app using new filters such as education, height, and body type. Meet Moi calls themselves the mobile matchmaker and states clearly that they are not an online dating service, and fall into the category of social discovery. 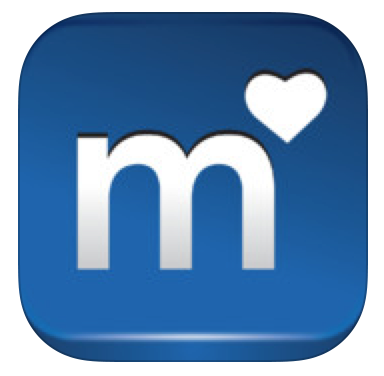 Meet Moi does the searching for you and sends you a notification of a compatible date nearby to your mobile phone. They matches users with one another based on preferences and proximity by leveraging uniquely mobile capabilities like location awareness and push communication channels. How it works: Users can sign up for free with features including creating a profile, sending winks, and replying to messages. Users receive a push notification when there’s a match nearby. If you choose to accept the match, you can click on “Has Potential” to show interest. If your match likes you back, you can chat for up to 60-minutes before deciding if you want to meet in person. Premium users can chat with all users and see who?s viewed their profile. Skout is one of the earliest mobile dating apps and their iPhone app was launched in 2008. Their mobile app is a global network for meeting new friends or dates in over 100 countries around the world. How it works: Skout is free to download with features include chatting and exchanging photos or notes Users can see who has checked them out. The app identifies singles in your immediate vicinity and gives you the opportunity to flirt and meet up with them. Though the app is free to use, members have the option of purchasing virtual gifts, premium memberships, or sending ?wink bombs? which reach up to 500 potential sweethearts in your area at once. Their premium model, Skout Pro is priced at $6.99. For the third year in a row, Grindr has made it to our “Top 10 Favorite Mobile Dating Apps.” Their mobile app launched in 2009 and they’ve been a leader in the mobile app only service. Grindr has 7 million male users in 192 countries around the world. The average user spends 2 hours a day on the app and logs in 8 times a day. Over 200 million photos are sent every day from guys to guys using their mobile apps. How it works: Grindr is a location-based app where users can create a profile for free, upload photos, chat, and meet. Users can view 100 profiles of men in their area. Premium users of Grindr-Xtra have an advertising-free service and can receive push notifications even when the app is closed. Other benefits of Grindr-Xtra include? the swipe feature to easily scan through profiles. The premium service costs between $12.99/mo. to $64.99/yr. How it Works: Users can sign in from Facebook or directly on the mobile app to find singles in your area. Accessing their “Locals” feature will show you people in your vicinity. The app allows you to swipe right to “like” a user or swipe to the left to “take a pass.” If it’s a mutual match, you’ll find out immediately and will receive an email. Users then can visit their profile or send a message. Other features you can access from your mobile phone include viewing the famous OkCupid questions, saving a profile as a favorite, viewing your visitors, and ranking your potential date from 1-5 stars. Each user’s profile will state your Match, friend, and enemy percentages similar to what you’ll find on the web-based site. Upgrading to A-List, which includes anonymous browsing is an additional fee. Why we like it: Having the percentages on a profile photo makes it easy for those who are intrigued by the computer algorithms to take a second look at a potential date. How About We now provides an online meet-and-greet with the goal of being an offline dating service for both singles and couples. Their mobile app lets you view full screen photos and dates of people in your area. Their premise is to connect online and meet offline at user created events. How it works: Members can sign up for free and post ideas for dates. This helps speed up the process as often a member will have tickets for a specific concert or sporting event and will list the date/time of the potential date. You’ll also receive real-time notifications with recommended dates. To view your visitors, you can invite three friends for free to join the site, or upgrade to the premium membership. To send or read emails, you’ll need to pay for a membership which runs from $8.99/mo. to $34.99/mo. Why we like it: How About We has partnered with AARP for the large number of single boomers over 50 who are looking for love online. AARP members can receive 50% off their membership. It makes members? think about a fun actual date and creativity is the key. You’ll find more than just suggested beach walks from their busy and active members. Plus their blog, The Date Report really rocks! 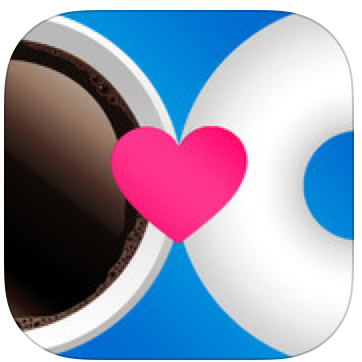 Newcomer Coffee Meets Bagel (CMB) was created by three sisters Arun, Dawoon, and Soo Kang. CMB has won the hearts of many singles looking for love online. Originally a web-based service in a few cities in the U.S., Coffee Meets Bagel launched their iOs app in August of 2013. How it Works: Every day at noon, you’ll receive one match from a friend-of-a friend, or one “bagel.” Users sign up through Facebook to create their profile and can “Like” or “Pass” on their bagels. If you missed one of your bagel dates, you can request to be rematched. Users can visit their bean shop to buy coffee beans for upgraded services at the cost of $4.99 to $99.99, but can also easily win free beans by recommending a bagel to a friend. Since the service is new, users might not get a bagel match every day, but we have our eyes on this site and hope that it continues to grow in membership. These top web-based dating sites have terrific mobile apps that are worthy of downloading on your smartphones to speed up your search. 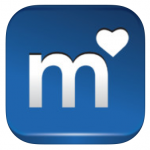 Previous Top 10 Mobile Dating apps lists can be viewed here. Julie Spira is an online dating expert and mobile dating expert. She was an early adopter of Internet dating, having created her first profile almost 20 years ago. Today, she coaches singles on the dating scene and is the host of Mobile Dating BootCamp: Dating in a Mobile World. Send us the details about your app and we’ll review it.